~~CALL OR TEXT 813-802-4286~~LOW MILES! 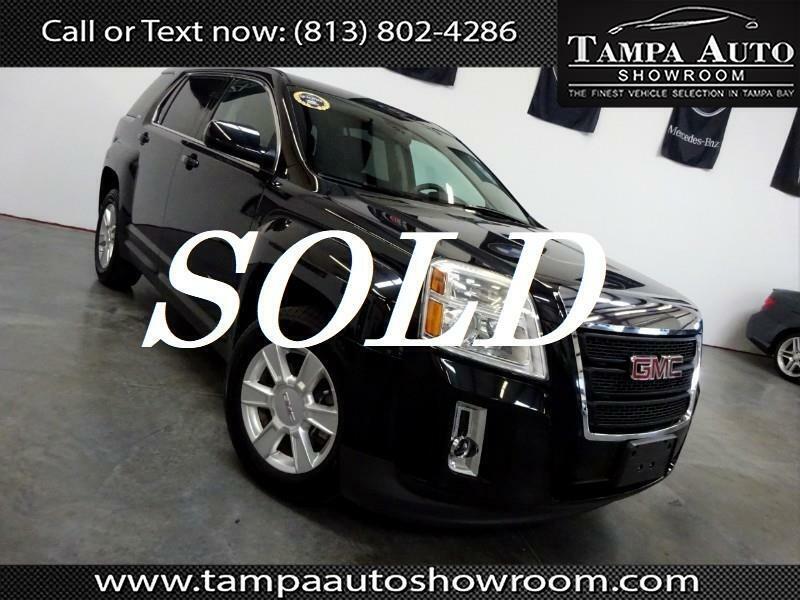 !~~LEATHER~~2 OWNER~~FL CAR~~CLEAN HISTORY~~NO ACCIDENTS~~This 2010 GMC Terrain SLE1is an Autocheck verified, Florida vehicle with a clean title, NO ACCIDENTS! Very clean inside and out. Beautiful color combo! Please call ahead and schedule your test drive VEHICLES SHOWN BY APPOINTENT ONLY. Visit Tampa Auto Showroom online at tampaautoshowroom.com to see more pictures of this vehicle or call us at 813-802-4286 today to schedule your test drive. It is the customer's sole responsibility to verify the existence and condition of any equipment listed. The dealership is not responsible for misprints on prices or equipment. It is the customer's sole responsibility to verify the accuracy of the prices and availability with the dealer. It's the customer's sole responsibility to verify the vehicle's history and not rely on Report provided by the dealer as a courtesy. Vehicles can only be put on hold with a holding deposit of $500, having an appointment to see a vehicle will not hold the vehicle. Pricing subject to change without notice. Price advertised is for CASH or CREDIT UNION APPROVALS.